Where the flying monkeys did this year go? I mean honestly. I distinctly remember whole days in January 2015 and there is no way way they were 12 months ago. Anyway I wanted to do a whole book blog about what I read this year but that’s going to wait till next time because we got some other things to talk about. Good? Good. First and foremost How to Be An American is out in the wild and for sale! That handsome devil up in the left hand corner is none other than Oscar Varona, the amazing artist who created the cover collage. And that sly fox on the right is Aida. Those are from a series she did on women who influence her. Incredible. As for my book, someone needs to give a copy for Christmas to their super Team USA relative so they can write a scathing review on amazon calling me communist and telling me to love it or leave it. Seriously. Can we make this happen? So the book is on amazon – but I’ve got a few copies in my hot little hands that I will sell to you for less than the drones at Amazon so by all means hit me up in the comments or via email (ally dot malinenko at gmail dot com) if you’re interested. And if you’ve got something creative you cooked up I’d be happy to do a swap! In addition, Bookfish Book who published This Is Sarah has lowered the price of the ebook to 99 pennies. I may be biased but I think it might be worth that. Also the other morning while I was staring at the wall wondering what the hell I was going to do with my writing mornings now that my sci fi book is done, I spotted a few copies of Sarah just sitting there looking all sad and lonely and wishing that they were in the hands of readers so I decided that because I don’t visit the post office nearly enough, I would do a goodreads giveaway. So that’s in the works in case you want to try and win a copy. I’m super excited about this because honestly, I love these two stories so very much. And I’m honored to be included in such a great collection. So a huge thank you to Laura and Sam and Eirik and Mike. And while I’m dishing out the thanks, thanks to Richard Vargas and his amazing Mas Tequila Review for including some of my poems in the new issue, which I have been pleasure delaying the end of because I don’t want it to stop. And thanks to Drunk Monkeys for publishing Telling All My Secrets about that super crappy day I had to spill the beans to my amazing parents about having cancer. Another of my favorites, Clockwise Cat, also included two of my poems in their new Clockwise Cat Strikes Back Issue. Thanks you timely feline. And because it’s the end of the year, it’s award time so a million trillion starburst-y thanks to Drunk in Midnight Choir for nominating me for a Pushcart. It’s an incredible honor that out of all the amazing pieces that DMC published this year, they highlighted mine. I write a sentence. I re-read the sentence. I change the sentence. I polish the sentence. I re-read the sentence. I delete the sentence. And because it bares saying in the wake of the Paris attacks, the multiple mass shootings in the US, the Syrian refugees desperately trying to find safety, the UK deciding to bomb Syria, the GOP turning into the party of hate and whatever retaliation Putin is planning for Turkey………..Please for the love of the Cold Unfeeling Universe, hug your babies tight. On the next very special issue of JDP….. So I was asked to participate in something super cool for someone who is super cool. Eirik (said super cool dude) has been going through some crap lately cause he needs new lungs. Yeah. LUNGS! Sort of necessary. And since none of them are particularly skilled in the ways of garnering new lungs, they did what writers do. They decided that maybe, just maybe, a few stories might cut through the darkness, might ease their minds for a few – the way storytelling has for ages. And I was fortunate enough to be included in the list of people they wanted stuff from. So I wrote a story about some people who fall in love as their ships pass in the night….in space. Cause everything is cooler in space. There’s some really great stories in this special issue about bigfoot and poems about cursing and stories about new coke and time travel. So here’s the very special Jersey Devil Press issue for Eirik and Monica. I hope it made them smile. Finally, if you can’t spare any cash, but want to share the stories, please do. Exposure is never a bad thing. So thanks again to JDP and to Eirik for letting me be a part of something so cool. This is Zoe Keating. My friend Rob told me about Zoe after listening to this RadioLab podcast. Rob assumed I knew about her already. I didn’t. Rob is always assuming that I’m much smarter and more interesting than I am. I’ve fooled him for years. Isn’t she amazing? I’m buying her album. It reminds me of Max Richter which I already blathered on about here. Also, I just wanted to thank the boys over at Jersey Devil Press for nominating my story, Paper Heart, for a storySouth Award. That’s super cool. 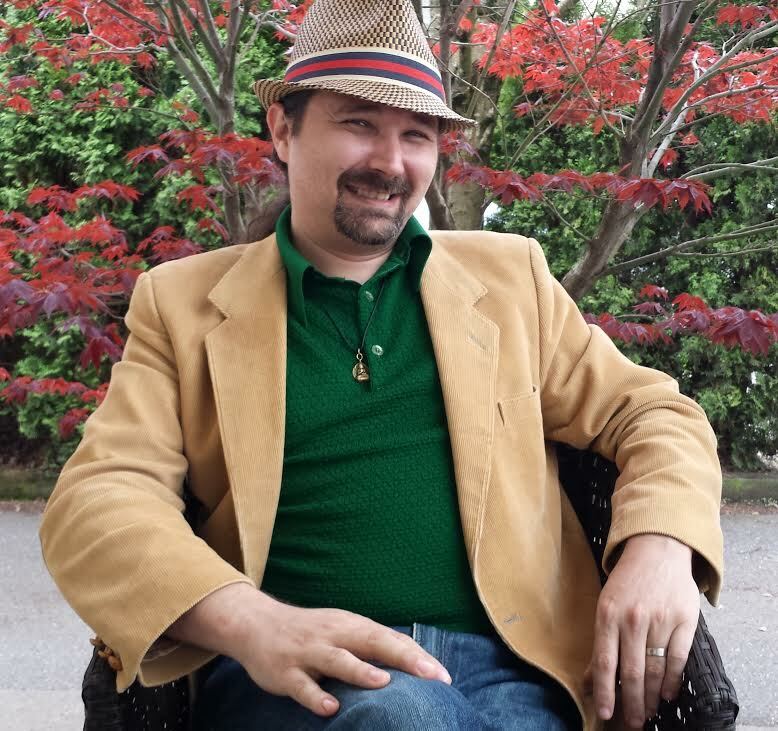 JDP has been really really supportive of my writing and I just wanted to say, again, that without all the work of small presses and the people who put their time, energy and money into it – I basically would never get to share anything with anyone. I owe them. 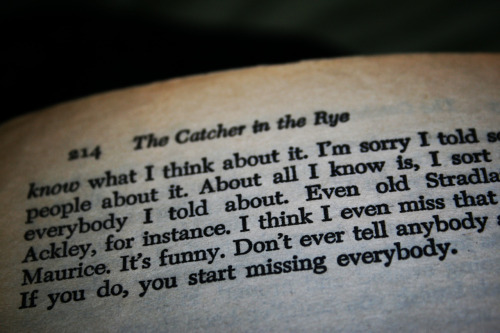 Finally 62 years ago today, The Catcher in the Rye was published. Ain’t that the truth, Holden. They’re making a documentary about Salinger. I’ll be seeing it. Here’s the trailer. Not looking for a fight here, people. I think OSC is an asshat. 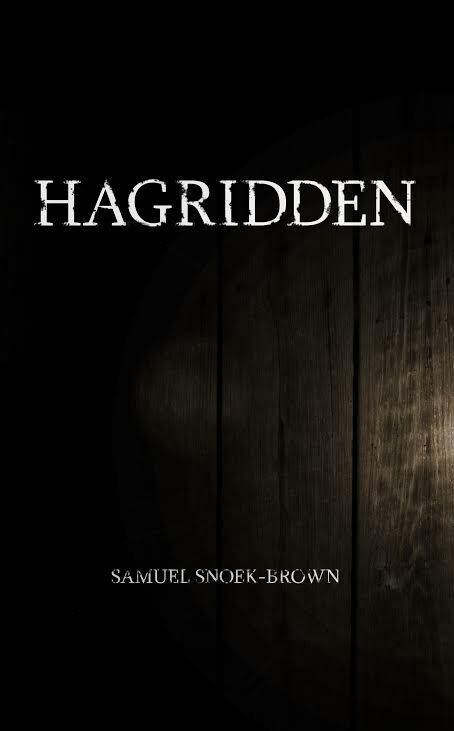 I for one won’t be seeing his film because I never bothered to finish the book. But there is a bit of slippery slope if you get over zealous in your righteousness. Also, if I didn’t separate the work from the creator I would never read/watch/listen to or muse about anything. And that’s not productive either.